2014 Volkswagen Jetta SportWagen 2.0L TDI, Premium leather interior, navigation, backup camera, panoramic sunroof, bluetooth, AM/FM/CD/MP3 stereo, and just 65k Miles! You can view over 80 photos of this Jetta SportWagen TDi on our website at PuebloUsedCars.com. This Jetta SportWagen TDi is a 2-owner and is in excellent over-all condition. It has a 2-owner Carfax and an excellent service history showing. Inside and out this vehicle is in great shape. The leather interior is virtually spotless and all of the power options work properly. The 2.0L L4 has 140 horse-power giving it plenty of power for cruising the Rockies while also delivering an impressive EPA estimated over 40mpg on the highway. If you are looking for a low-mile Jetta SportWagen that is in great shape this 2014 Volkswagen Jetta SportWagen 2.0L TDI will be hard to beat. 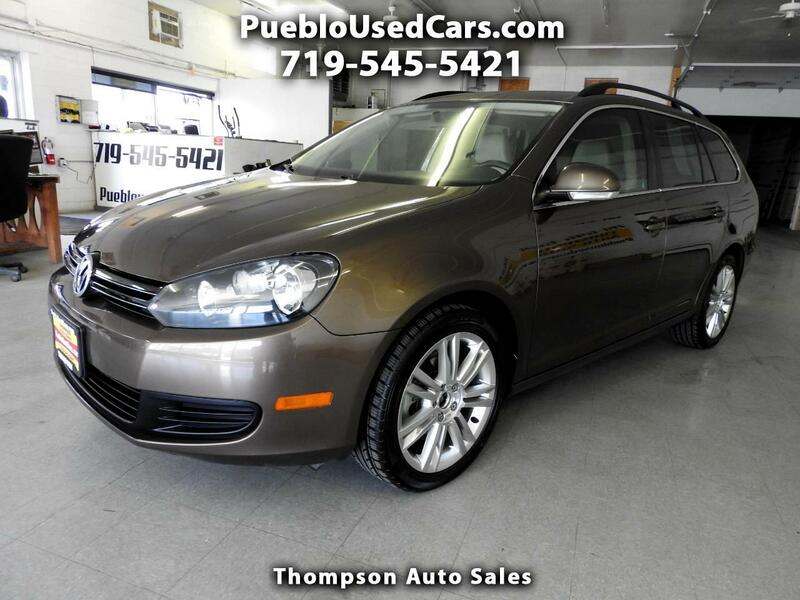 Stop down and see this Jetta SportWagen 2.0L TDI in person at Thompson Auto Sales - 525 W 5th St in Pueblo, CO. Please call us with any questions at 719-545-5421.